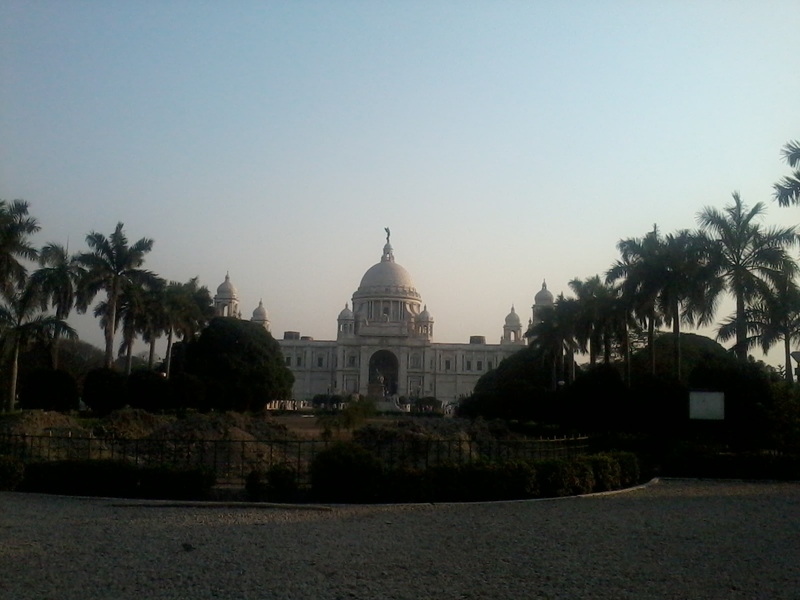 Last weekend, a friend’s wedding gave me a chance to visit Kolkata. My first trip to eastern India. I land at Kolkata airport on Mar 7. Kolkata, the capital of West Bengal is the 3rd largest Indian city and among the densest in the world. Unlike Mumbai though, it is pretty laid-back for its size and importance. 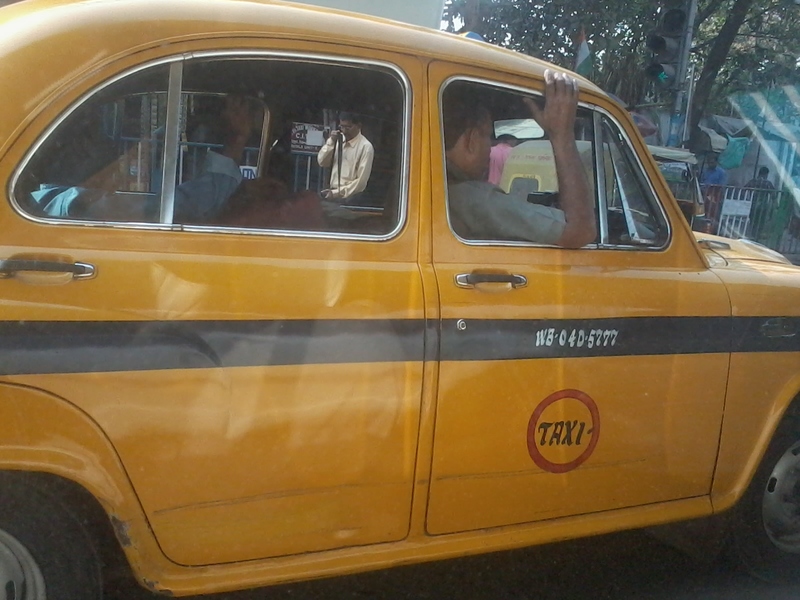 Everything in Kolkata is unique. The yellow Ambassadors. The traffic policemen in their white shirts and trousers.The British road names. Park street. Russel Street. Elliot Road. East India Company’s original capital, seems like the British never left. By the way, the traffic police are surprisingly strict. After having experienced complete traffic lawlessness across nearly all major Indian cities, I can’t help but appreciate this aspect of Kolkata. The northern part is older, the city is spreading more toward the south and east now. But time is a constraint. The monument I visit first is perhaps the most famous. Victoria Memorial. Constructed more than a century ago, this massive and beautiful structure dominates the landscape. And then went over the new Hooghly bridge, connecting Kolkata to Howrah. The wedding, at Stadel hotel, has a common wall with the Salt Lake stadium, the 2nd largest stadium in the world. In a cricket crazy nation, football is a dying sport, except in Kolkata, where matches between traditional rivals East Bengal and Mohun Bagan draw huge crowds. And the sweets. Sondesh, rosagullas, gulab jamuns, misthi dahi. I ate more sweets in this wedding than I had ever in Gujarat, my home state known worldwide for its sweet food! This city has perhaps all possible forms of transport available – metro trains, trams, buses, taxi cabs, boats, steamers, auto rickshaws, cycle rickshaws. Even hand-pulled ones. And everything is very cheap compared to other parts of India. Mamata Banerjee, who was elected Chief Minister in 2011, was expected to bring in some fresh air, after more than 3 decades of communism stagnated the economy. But the people I met say, real change is yet to come. 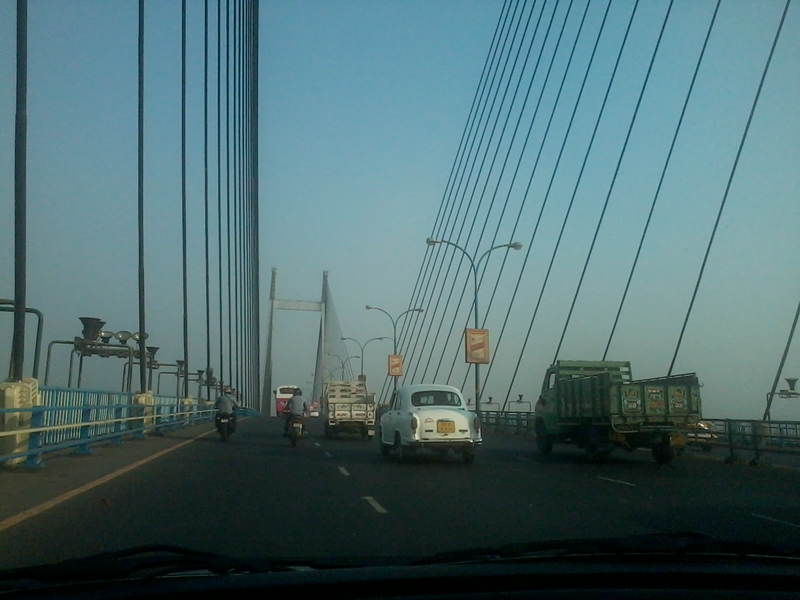 The second Hooghly bridge is the largest of its type in India. 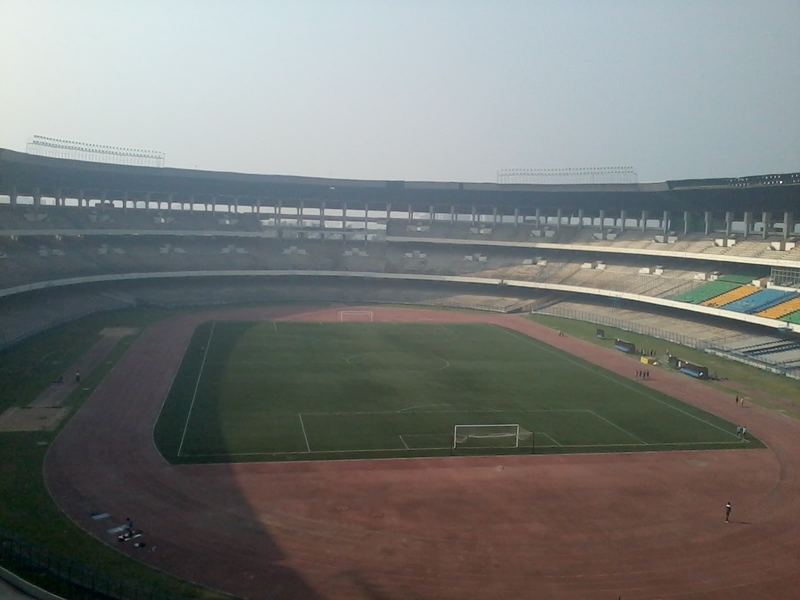 Salt lake stadium at 8 am in the morning. Excellent Post !! The way you have portrayed the “Rich cultural Heritage of Kolkata” through words is worth reading. Pranav, all your Travel blogs are excellent!!! Thanks, Pallavi. You have traveled more than me, when is your blog coming out? As usual very well written! Am going to share with a few friends. Keep it up! How lovely! India has never been a place I have wanted to see but these photos and the descriptions of the city are wonderful. Thank You Kat! India does have its huge share of negatives. But the positives make the journey worth. My blog theme for the week is practicing kindness. That is hardest when with the other or strangers. So one way I practice is trying to learn about other cultures through the distant friends I have made by blogging. Here is a friend also exploring the other in his blog. Enjoy. I did.